Austin Skin Plus | The New Acne Safe Makeup I Created Just For You. The New Acne Safe Makeup I Created Just For You. If you have acne, you know that makeup can be the ultimate frenemy. While the point of it is to make you look and feel gorgeous by evening out your skin and giving your face a healthy glow, all too often it just clogs your pores and makes your acne worse. Sick of fighting that losing battle, I’ve been obsessed with finding truly acne-safe makeup – for my clients and myself. The truth is there are very few options out there that come even close to my standards. And believe me, I’ve looked. I can’t tell you how many clients have asked me to check out the label on their favorite “oil-free” makeup, only to spot pore-clogging ingredients in two seconds flat. … I formulated my own! 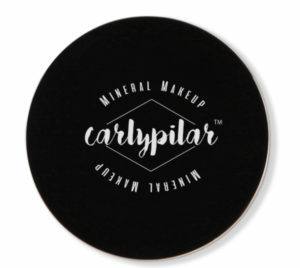 Introducing CarlyPilar Acne Safe Makeup. My signature acne-safe makeup is different than any other line because we not only have mineral powders (widely known to be acne safe), but we have a liquid foundation as well. The following are the first products in my new makeup line that I created especially for my clients. You work so hard along with me to achieve clear skin, and you deserve makeup that does what it’s supposed to: enhance your looks without causing breakouts. 1) Liquid concealer: My acne-safe liquid concealer goes on smoothly and provides effective medium coverage that conceals everything from blemishes to hyperpigmentation and even dark circles. Formulated for long-wearing performance, it has anti-aging properties with collagen and can help reduce puffiness. It’s also quick drying, water resistant and is non-transferrable, meaning it doesn’t stay on your clothes – just on your face where it belongs. You’ll feel confident with this hardworking concealer in the mix. 2) Hi-Def Liquid Foundation: When you need full-coverage that holds up in the most intense conditions – like under hot lights for television work or for big days like when you have an important meeting or event – my Hi-Def Liquid Foundation has you covered. 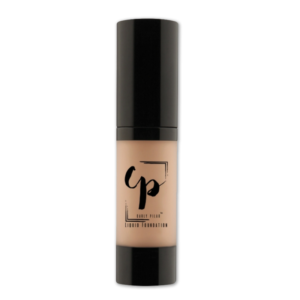 Like the concealer, it’s made with an anti-aging formula with collagen that fights puffiness and is great for normal to dry or aging skin. It’s also water resistant, and non-transferable so it stays on your face and does the job to keep you feeling lasting confidence as you face the day (or night =). P.S. this is our best seller! 3) Mousse Foundation: If you’ve got oily skin, my Mousse Foundation gives you the perfect balance of cream to powder for a light to medium coverage and a beautiful, matte finish. With a light velvety texture, it reduces the appearance of fine lines. You’ll love the dewy fresh look that also quietly keeps your oily skin at bay. 4) Mineral Pressed Powder: My compact pressed powder delivers a big payoff, with more matte finish than mineral loose foundation. It goes on silky smooth and stays put beautifully. When you need full coverage, apply with a sponge. Otherwise, when applied with a Kabuki or flat-top buffing brush, you get easy, light coverage – especially convenient for quick touch-ups. 5) Mineral Powder Pressed Blush: Put color in your cheeks with my triple-milled, long-wearing formula blush. It gives your skin a luminous, healthy glow. 6) Mineral Bronzer Loose Powder: Skip the damaging sun and use my signature bronzer to give your face a gorgeous bronzed glow with a slight pearl finish. Apply with a Kabuki brush or flat-top buffing brush. If you need truly acne-safe makeup, I’ve got you covered. And I’ll keep you updated – we have more in development! If you have any questions about my new makeup line or any other products or services, give me a shout.